Generally speaking, the consistency of paper stock is 2.5~3.5%. Under this high consistency, the fibers can’t equably disperse, and the impurities can not be totally removed. Therefore, we can dilute the paper stock with water, thus slurry can form fine dispersion, and it is also in favour of screening and purification. 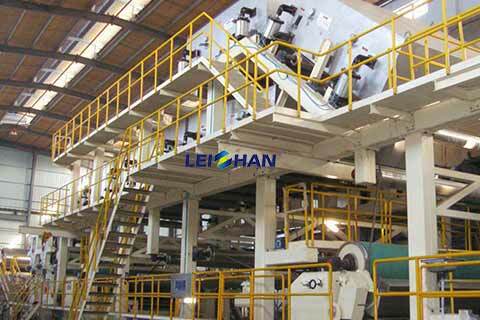 According to the speciality of paper stock, quality requirements of finished paper and the peculiarity of paper machine, the paper stock of fourdrinier machine is 0.3~1.0%, which is similar with the wire slurry consistency. In other words, use the same paper stock consistency to screen and purificate. There are two dilution steps for cylinder mould paper machine. Firstly dilute the dilution of paper stock to 0.5~0.6%, and then screen and cleanse under this consistency. After that dilute the paper stock to wire consistency.